Think you are Too Fat to Run? Too scared to join a running club? Still don’t see yourself as a proper runner? 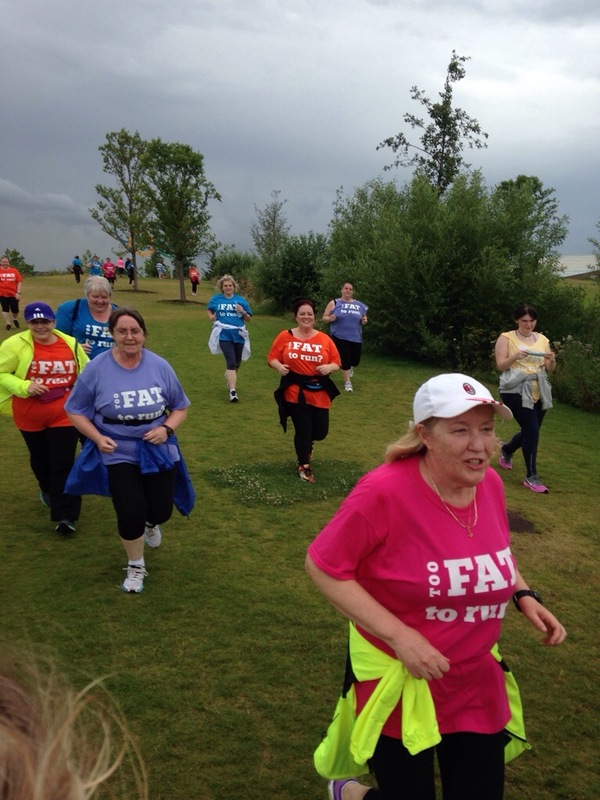 Fancy a trip to London to run with Fatty? Why not come and join us for a fun and informal social run in East London with a small group of other ladies from the Fattymustrun community and start thinking about yourself as a PROPER runner once and for all. What is a Fat Girl Run Clinic? It is basically a day long workshop specifically designed for plus sized runners to help build confidence, set goals and generally improve as a runner. Who are the sessions designed for? Absolute beginners will feel right at home here as the running sessions will be adapted to embrace the slowest of runners while at the same time helping to build confidence. You only need to be able to walk for an hour to be able to complete all of the tasks. However, f you are a plus size runner with lots of running experience (and some speed) you will also get a lot from the day and learn skills to take your running to a new level. The mix of the group is one of the strengths of the day, with everyone learning from one another. Signing up is the first step, showing up is the second…the rest is easy in comparison. The day costs £79 and includes lunch, tshirt and a goodie bag. 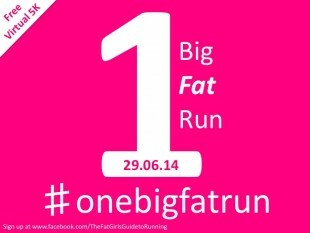 There will also be the option to purchase limited edition Fat Girls Guide to Running merchandise in a pop up shop. The East London day starts at 10am at West Ham Station (DLR, District Line, National Rail, Jubilee Line) and finishes at about 5pm with the option to go home via Stratford or back to West Ham. 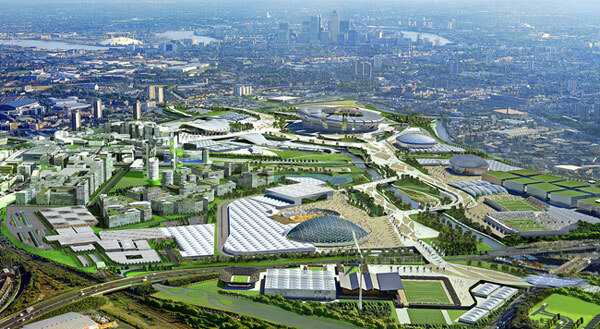 The run route of the Queen Elizabeth Park tour will depend on what events are taking place in the park that weekend, but you can expect to see all of the main 2012 venues including the Stadium, the Velodrome, the Copper Box, The aquatics Centre and The Orbit as well as the beautiful parklands and surrounding waterways. 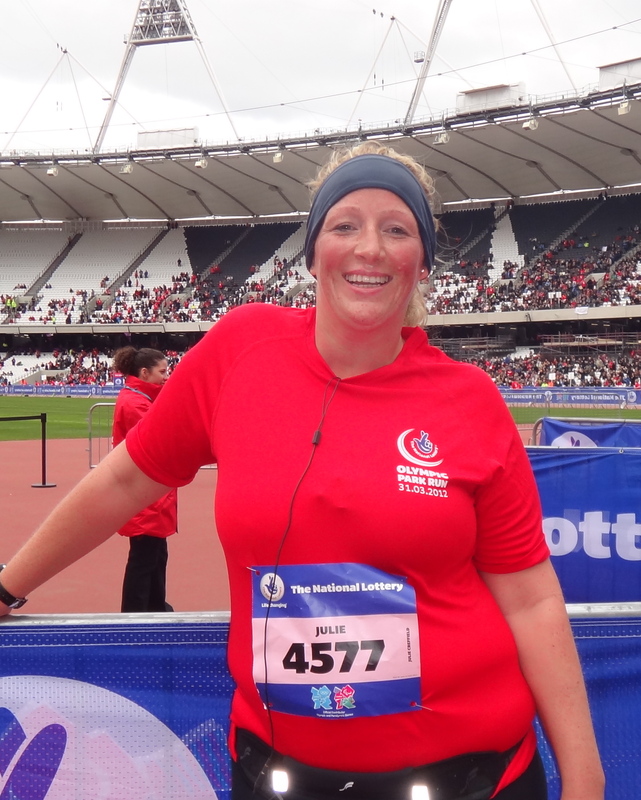 Julie is a qualified and insured UKA Leader in Running Fitness, all of her sessions are fully risk assessed and she is a qualified first aider too!! Please note if you book a space and then cannot attend you can defer to a later course, with 7 days notice but unfortunately no refunds can be given. If you can not make any of these dates, or coming to London is just too difficult or expensive Julie can come and run a bespoke workshop in your location for groups of 10 or more ladies so get in touch via fattymustrun@hotmail.com to discuss dates and rates. Why not contact your local Run England Activator or local sports development team to see if they would conscider working with me to bring a workshop to your area, they may even pay for it from funding they have to get more inactive people running in your area. What do ladies say about this running retreat? If you are UK based speak to your local run activator about funding in your area. They can be FREE for you if they have a budget and there is enough interest!! Do you know if there is a Scottish version of this or anything similar you have heard about?? I would love to bring it to Scotland I just need to find the right location and local partners so if you have any suggestions get in touch. Drop me a line and we can discuss. Fattymustrun@hotmail.com how exciting!!! That’s great Amy, I will put you on my list. And take one of the spaces off the booking system until 1st June!! Whoop whoop!! Is a run coming to Bristol?